The International Renewable Energy Agency (IRENA) moved to its new Masdar City headquarters in March 2015. The 32,000 square-meter complex is made up of three interconnected buildings, which work together to conserve energy and water and create shared space. 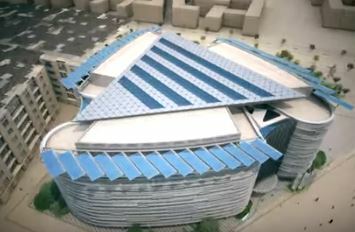 The IRENA headquarters is a model of sustainable development in the UAE. The building will enable IRENA to lead by example by operating from a building that is a symbol of sustainable design and development, and one of the most sustainable buildings in all of the UAE.